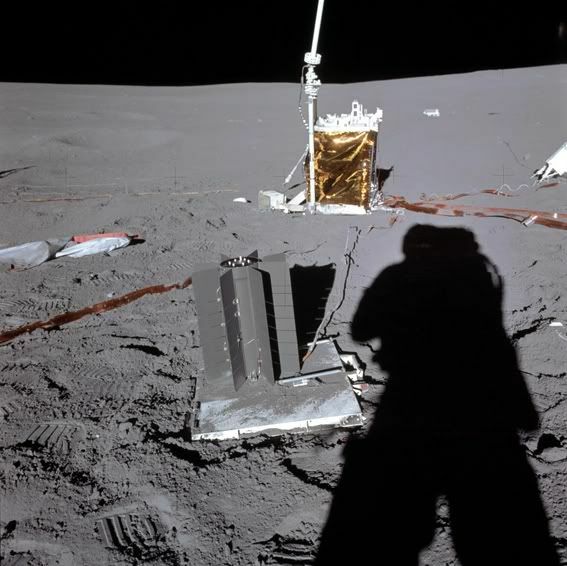 Interesting how the crater where the Surveyor landed, looks more steep in the overhead image than the surface shot, where Conrad is by the lander. 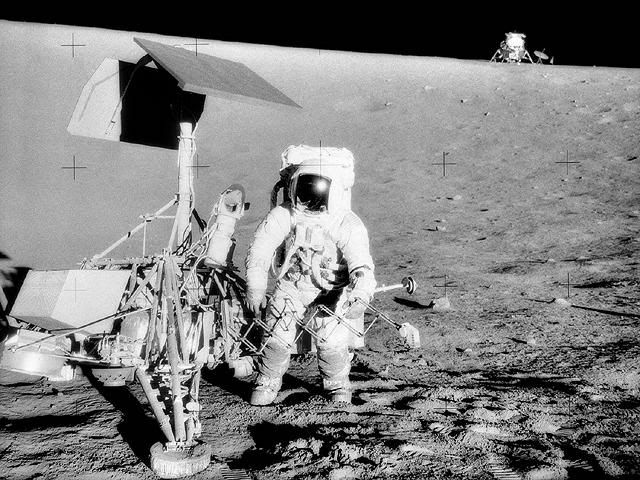 We have had the other Apollo landing sites imaged in July by the LRO, but Apollo 12 was not available to the orbiter. 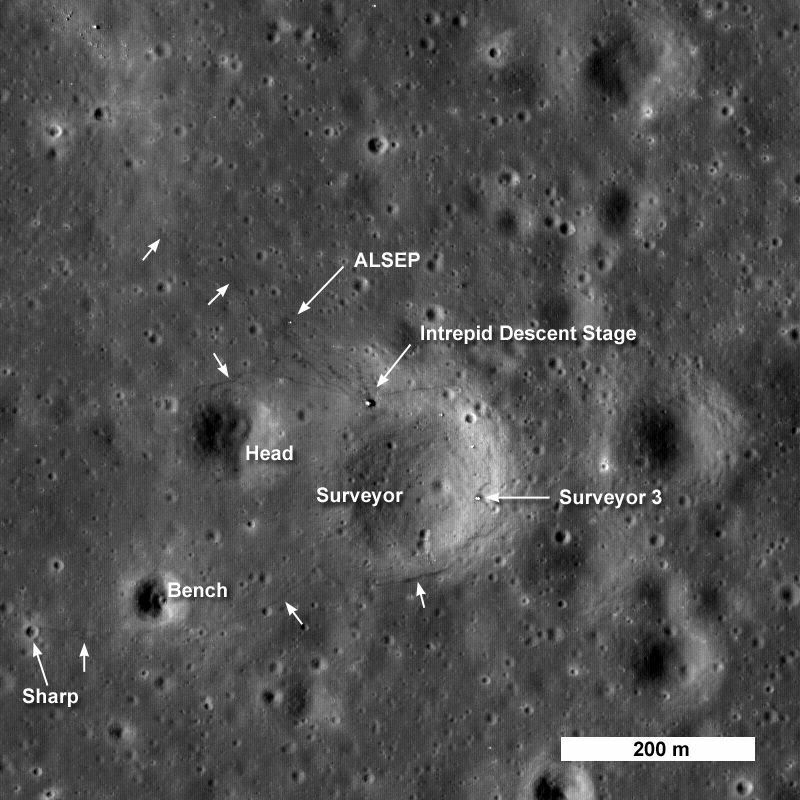 But now, we have a complete collection of the sites...and soon the orbital trajectory will bring the LRO closer to the lunar surface and send back more detailed images.